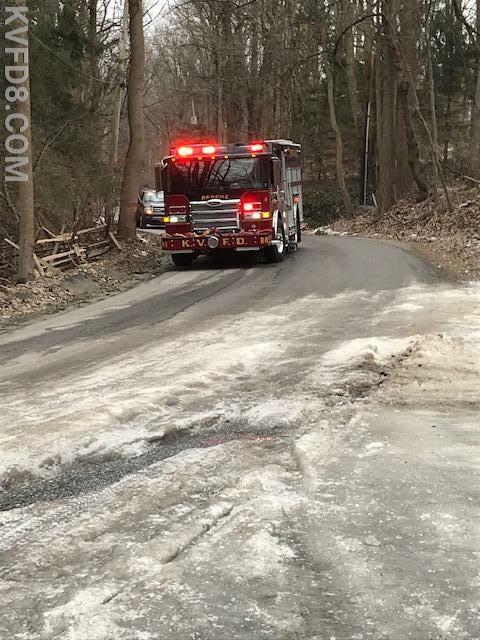 This morning at 10:04 AM, KVFD was dispatched to an accident with unknown injuries in the 1100 block of Quarry Road in West Sadsbury Township. 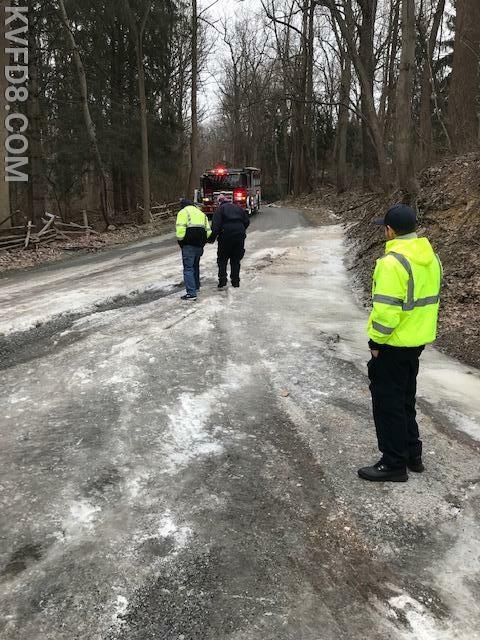 Upon arrival, the EMS crew encountered heavy icing conditions on the road with one vehicle found in a ditch, no injuries. Rescue 8 stopped short of the ice but Tac 8 was able to better access the scene from the north side. Fire police closed the road while the West Sadsbury PD investigated and the road crew responded. 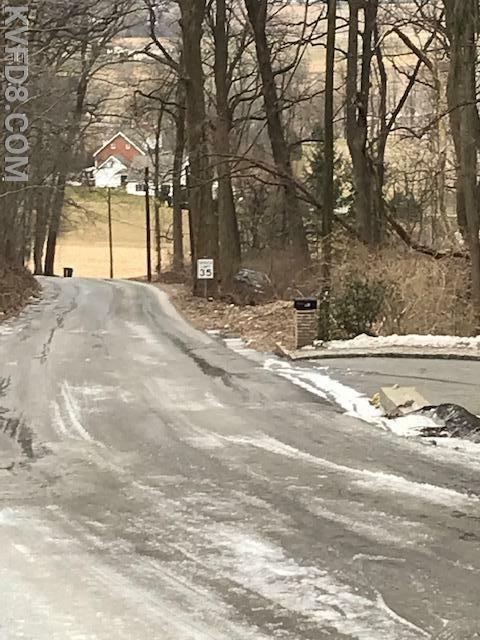 Salt/cinders were applied and all units were clear by 11:30 PM.